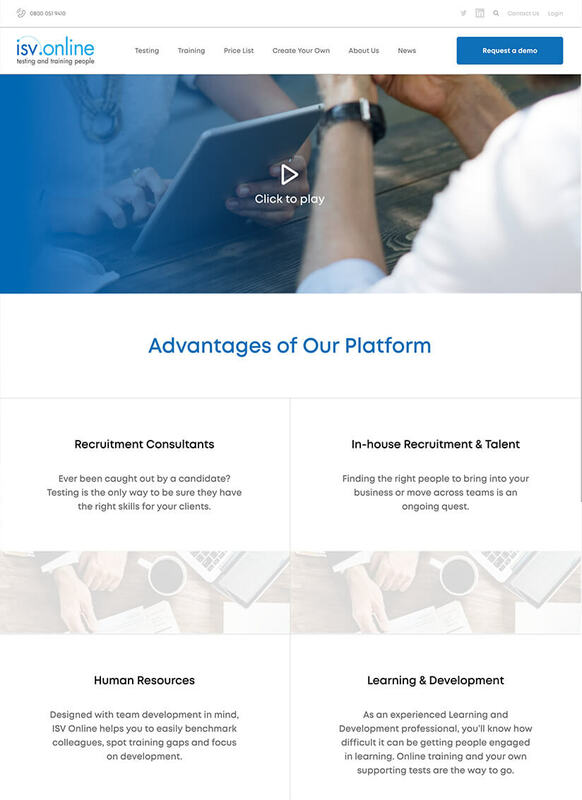 ISV Software Ltd, a subsidiary of Dillistone Group Plc, provides software for recruitment management. 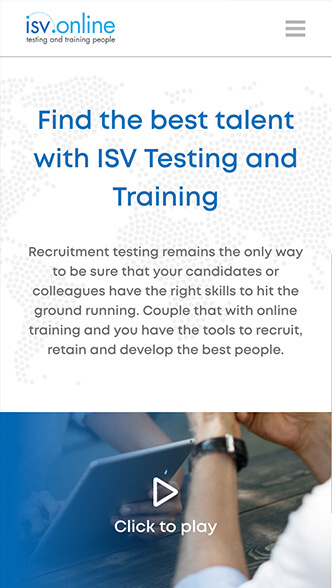 Moreover, ISV have been market leaders in online skills testing and training for over 25 years. 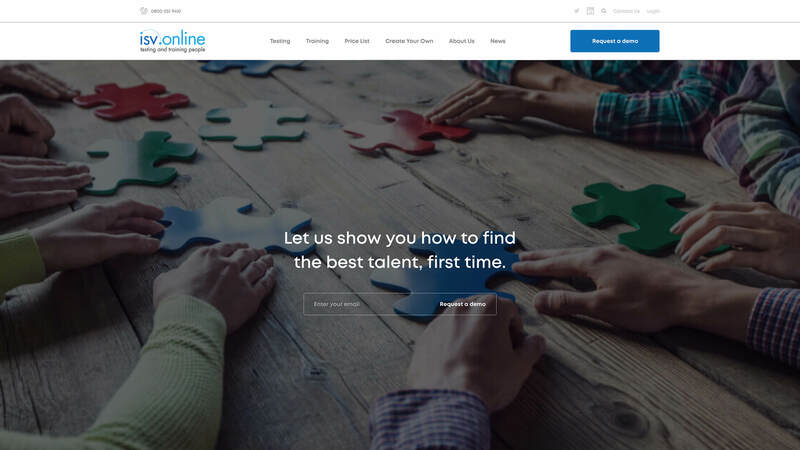 We got hired for the job, after we had received direct recommendation from other subsidiary of Dillistone Group Plc - Gated Talent. GT team has been successfully working with us on other project for one year. The purpose of this project was to redesign the website, in order to achieve a modern look and a more intuitive navigation. We also had to keep in mind that basically, most of the previous content had to be migrated. That had a great impact. Pagepro provided four very talented specialists: Joanna (Front-End Developer), Maciej (WordPress/Back-End Developer), Bartosz (Designer) and Marek (Project Manager). The whole project was managed by two great employees from ISV Software Ltd - Amanda (Managing Director) and Steve (IT Director). The cooperation with them was smooth, especially thanks to clear communication and quick decision making. The first step, we needed to gather proper images and information about key objectives for our client, like to make the "Request demo" button more prominent as it was supposed to open dedicated request form. Secondly, we needed to prepare a fresh design based on the previous version of the website. Hence, we made sure that everything on new templates maintains brand colours. Once we got precisely described UX/UI functionalities, we prepared well-designed project in Adobe XD. Moving forward, we started with setting up development environments and installing essential tools for the project. After managing the initial design and the description of particular functionalities like Forms, Sliders, Documents uploading, we started with defining scope of work in TeamWork (Project Management Tool). In other words, we divided actions that needed to be taken, into well-described tasks. Depending on the type, each of the created tasks was assigned to proper member of our team. In Pagepro we use SCCS to write styles code, as it allows us to achieve great efficiency and reduces the risk of future issues on different browsers. Nowadays, features like mixins or variables for colors, sizes and breakpoints are a “must have” standard in Front-End Development. It makes the code reusable and easier to understand for other developers. Our WP Developer's first task, was to prepare Underscores WordPress Starter for theme development. He had also used ACF Pro plugin in order to make Custom Fields and make almost everything on the website customizable. When everything was successfully implemented, we went through the settings with the client and explained how to manage the content. We made sure that everything is clear and meets the client’s needs. Before live deployment we give client at least one week for checking if the whole content is applied properly.